The Doctor’s Choice is proud to offer in-home intravenous (IV) nutritional and medication therapies for patients who wish to spend less time in the hospital and return to the comfort of their home and daily life. IV therapy can quickly become incredibly costly and time-consuming, especially for those dealing with chronic illnesses, such as autoimmune disorders, or those in need of ongoing treatment, such as those with cancer or hormone deficiencies. Regardless of the IV therapy you or a loved one needs, our skilled registered nurses (RN), licensed practical nurses (LPN) and highly-trained caregivers provide comprehensive medical and nutritional services. Contact The Doctor’s Choice to learn more about our cost-effective IV therapies and qualified nursing staff, please contact us online or call (855) 857-0797 today. We look forward to creating a comprehensive in-home care plan that allows you or a loved one to stay safe and comfortable at home. 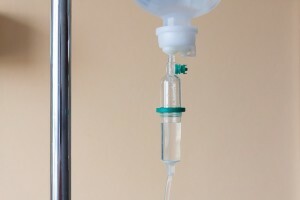 Intravenous therapy, also known as infusion therapy, involves the administration of antibiotics, medications, and nutritional formulas directly into the blood stream. The infusion of fluid may be administered with a single injection or over a period of time via a catheter and drip chamber, which controls the rate of fluid introduced into the blood stream. Typically, IV therapy is prescribed when a patient’s illness or condition will not be treated as effectively with oral medication or other conservative treatments. With the assistance of The Doctor’s Choice, our patients can receive the medications they need in the comfort of home, without having to travel to and from the hospital or spending hours waiting in a doctor’s office. In addition to administering at-home intravenous services, our nurses strongly believe in working closely with each patient to help educate and familiarize him or her with the process in order to improve confidence, independence, and self-reliance, particularly when adjusting to a new medical condition. The Doctor’s Choice also provides comprehensive services for optimal patient care and recovery, such as private nursing, physical therapy, medication management, occupational therapy, and even domiciliary care. 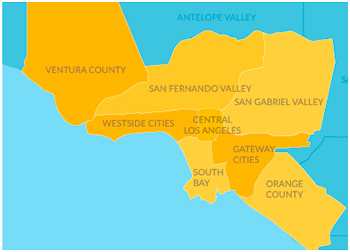 The Doctor’s Choice in Los Angeles is dedicated to providing comprehensive medical care services for patients facing a wide range of illnesses, conditions, injuries, or disabilities. For reliable in-home IV therapy, contact us online or by calling (855) 857-0797.